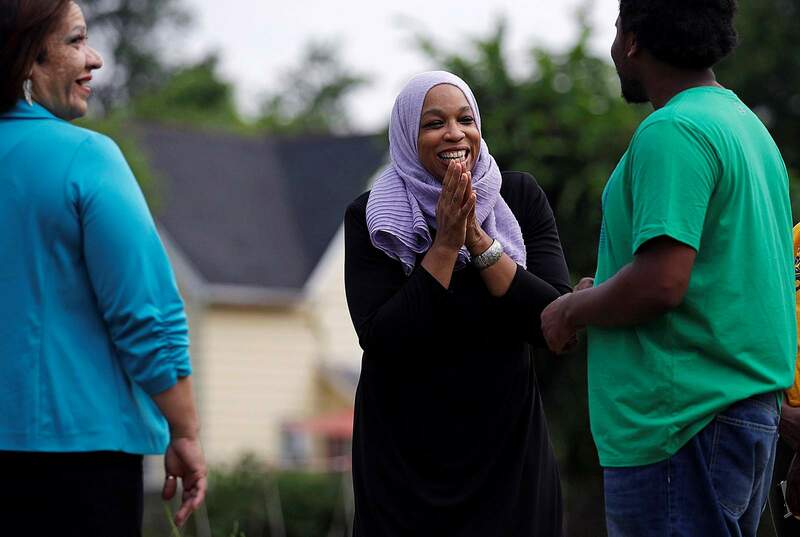 Attorney Tahirah Amatul-Wadud, who is challenging incumbent U.S. Rep. Richard Neal, D-Mass., center, talks with Dondre Scott, right, during a visit to a community garden while campaigning in the Mason Square neighborhood of Springfield, Mass. on June 18, 2018. At left is Ivette Hernandez, who is running for the Massachusetts House of Representatives. In San Diego, California, 37-year-old Republican congressional candidate Omar Qudrat declined to comment on how Islamophobia has impacted his campaign, including instances when his faith have been called into question by members of his own political party.